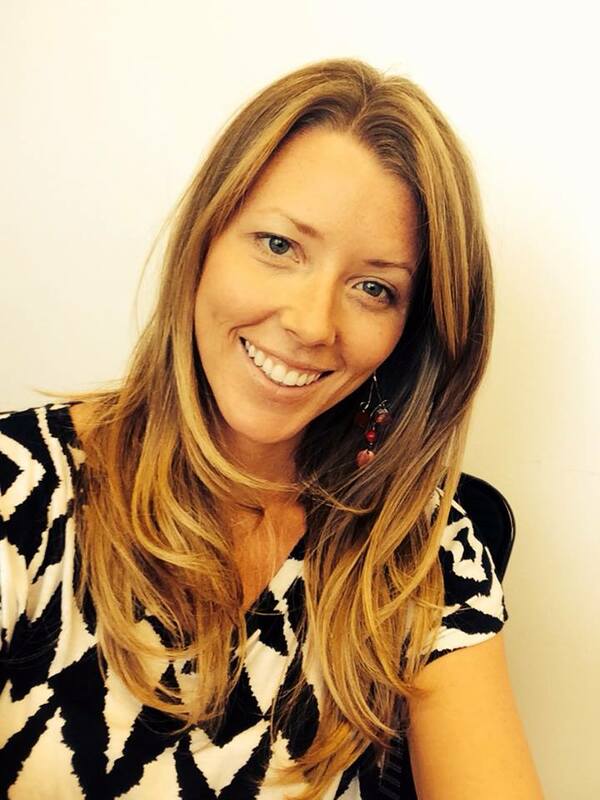 Amanda Heisman is a Nutrition Intuitive & Energy Coach. She teaches Intuitive Eating & Eating for Energy, while exploring the spiritual & emotional sides of Nourishment and channeling the needs of the Nourishment Body. The marrying of her formal training and intuitive gifts provides deep transformation. So I'm Amanda Heisman. I'm an intuitive nutrition and energy coach. So what that means is, I kind of married my formal training as a Certified Holistic Health coach and my abilities as a nutrition intuitive. So I help people transform their energy. I help people eat for energy and eat more intuitively. So they can use that sort of energy and intuition they build to just create a life that they love. Pretty much. So I explore the spiritual and emotional sides of nourishment as well as the physical. And as a nutrition intuitive I can channel the needs of the nourishment body and kind of explore where you can be better nourished. Okay. I know everyone listening is really curious about the intuitive part of this, right? That's the part I'm really interested in hearing about. 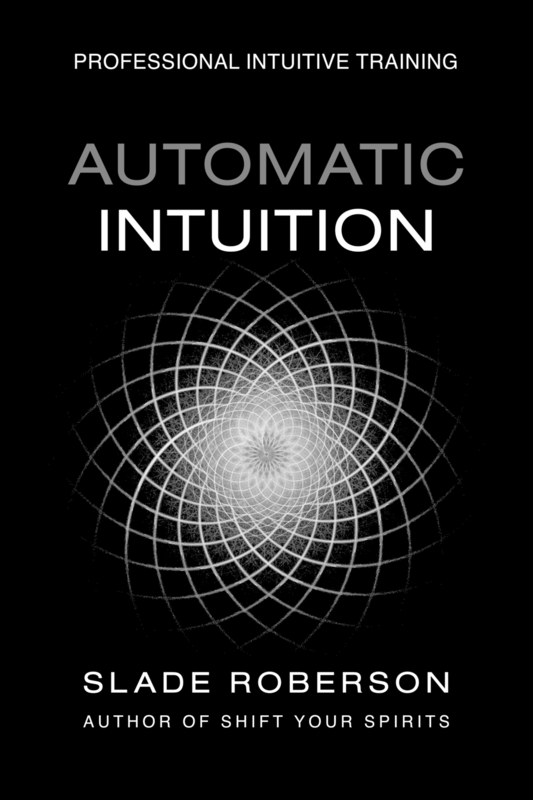 So, how do you use intuition in the process of counseling someone around nutrition? Just describe that for me. So I can use these words like, the nourishment body, or explore the energy of your health potential, but what does that really mean? What I do is, I'm more claircognizant or clairsentient, so I feel things very specifically as far as I can feel where an organ might be holding stuck emotion or where it might be storing emotion or it might be storing some toxicity. It might not be - I see it as a spinning, almost. Like it might not be corr - but like the energy of the organ might not be corresponding with the energy centre of the body or the chakras, you know, if you're listeners are familiar with the chakra system, right? So it might not be, kind of matching up to what it needs to be for a full energy or for full nourishment. So we know that health isn't just - great thriving health isn't just the absence of disease, right? A great relationship isn't just the absence of abuse. Things... we really look at what is the full potential here of how much you can be thriving. How much energy you can have. How beautiful a life you can have. And so, how I use my intuition is first seeing where that toxicity might be stored in the physical... It's kind of a, you know we have our energetic body, we have our physical body, we have our emotional body. It's kind of like I feel whether it's on the emotional body side or the physical body side, where there's kind of stuck energy. And then I can address it from there. So it might feel like an organ, it might feel like a colour... It just might present as emotions, as stored emotions that we need to address. Yeah, absolutely. That's really interesting. I was just talking to someone last night about the fact that the chakras spin. That many people talk about the spinning as the motion of the energy. So that's cool that you affirmed that for me. Because I wasn't sure if I had that entirely right. I'm curious to know, was there a life event that sort of led you to this work? How did you come to it? What's your story? So, I have kind of two big life events that first led me back on the nutrition path and then second led me back on the more intuitive side. That second part was more gradual but the initial one was, I was living in south Florida and I was climbing the corporate ladder, so to speak. I had a great life and I had a great job and I was doing really well for myself down there. And I, one day, I was very work-hard play-hard Type A borderline, I call myself sometimes a recovering perfectionist or recovering Type A sort of achiever. And one day, I got in a car accident on 95, a freeway down there. And I suffered from herniated discs in both my C5 and my L5, so my structure, my spine, my structural health and that kind of turned my life upside down at the time because I was so centered around... I was very active. I was very athletic. Always very athletic growing up and through my 20s and young adult life, and then I just couldn't do anything anymore. That's what opened me up after going through with the neurologist. Going through kind of the gamut of the western medicine diagnoses and treatments. CT scans and MRIs and everything else and it ended with the neurologist telling me to fuse my discs together. And have that surgery. And I think I was 30 at the time and I just... It was a full body no. No, there has to be something else. You know? I don't want to do that. So I, that started me on this path of just exploring all sorts of holistic modalities. So osteopathy really helped me. Qigong and yoga really helped me. And then I started looking at nutrition. I finally, after nearly a year of this, got it through a little bit that, hmmm maybe if I can't go run, or do something really active anymore, I should take a look at what I'm putting in my body in the first place. And that opened up this whole world of nutrition and I couldn't believe the initial - two small changes that I made for my body, for my individual body, having just an exponential effect on my energy. So I thought, Maybe there's something to this. And I kind of worked my way through my recovery the following year. And then, fast forward basically ended up leaving corporate America and didn't know what I was going to do at the time. That was kind of, surprised that wasn't a surprise, sort of thing. And then ended up just resting for a few months and then going back to, deciding to go back to nutrition school that summer. And now I'm on this path to help others. So that was kind of, the first big life event was the car accident and all the ramifications in recovery and lessons I learned from that. And then the second would be, kind of the perfect storm that was happening when I knew I had to end a relationship but I wasn't doing it. So it was the end of a very significant partnership of a romantic partner. He and I separated and during my emotional recovery from that, I was just so aware of, and I had spiritual mentors at the time as well, I had a modern day shaman, and other folks who channeled the Archangels and different mentors around me. I was very well supported and I have a great support system in my family and friends as well. But I was very aware of how many kind of, very spiritual mystical experiences I was having. Things that couldn't be explained. Just over and over again. That were directly related to each stage of the grief cycle, each emotion I was going through. And so, during the last maybe year of our relationship and then the year of recovery, my abilities started to become really apparent. Such that I couldn't hide them anymore. The whole quote about, to remain tight in a bud was more painful than to blossom, so that started, that really started to come forth and I'm, I'm still coming into my own as far as that goes. I help people in the capacity I do now, but I can feel that it's going to maybe be different in a year. We're always growing, right? What were the real world examples of how that was presenting itself for you? Was it synchronicities or... What were the signs? There were, I mean, sure there were a ton of synchronicities, there were a ton of repeating numbers, there were a ton of repeating animals that would show up in my life. Animal symbolism. So those were just kind of par for the course. But then there were these experiences like, we'd both decided to separate but we had about two months left on our lease so we kind of decided to stay, to live together. So that was really difficult. And sometimes one or the other of us would go to friends, but sometimes we were just both there together. And one time we're both there. We just happened to be in bed together and this... I felt this incredible warmth in, because this is just such a painful time, for both of us. For both of us. And I just felt an incredible warmth in the room and like a, it wasn't a flash with my physical eyes, but it was a flash. You know? It was like a flash in between us and then over by the door of the bedroom. And I just, I woke my partner up because I was like, somebody's here! Somebody's here and I heard Michael and so it was Archangel Michael and he was just providing comfort for me. I didn't get a clear message, or words or anything. But he was just there, letting me know that I was going to get through this time. There was another time in the summer, it was summertime in south Florida. It's hot and sticky. And I had dreams. So I'd have dreams at that time I was really connecting to the earth I was on, and so I was in my dreams, talking to a lot of Native American tribes. So I was part of their tribe and I was doing a lot of talking about, I was, there was a very clear message from them for me about our earth and about how we can do better with the earth. So there was that. There was, there were a lot of sort of what, I don't know, people call it astral traveling or whatever, different experiences I would have in higher realms, where I was clearly meeting with higher selves, we were working through contracts or forgiving each other, things we couldn't say in the physical to each other, saying it up there. And then just helping, having experiences where I was flying around the globe - I say "flying", I don't know what else to call it. Flying around the globe just kind of helping humanity through a difficult time it's been the last couple of years on earth. That's just a few things! I've actually really fascinated by - I love to hear those kind of stories. Those experiences and you actually made me remember something that I haven't talked about for maybe 11 or 12 years. And I remember very early on when I started blogging, writing about how I would have these experiences. I guess they were dreams where I was at some kind of, it felt like an outdoor gathering. Like a music festival or something. Except the Pope would be speaking. And for some reason, it was the Pope a lot. It was right after Pope John Paul had died and that's a whole other story. But it's just funny. I just wanted to mention that because then somebody will ask me about it and I can talk about it again. Yeah, I kind of had that same experience where you feel like you're, I called it like a congress. It was like I had been chosen to go somewhere and convene with all these other people for the purposes of hearing these speeches or something. And it felt like some kind of movement or whatever. And I guess here in the 3rd dimensional plane I was doing whatever I was supposed to do because I stopped having those dreams. And then I just started doing this instead. So maybe that had something to do with my process as well. To get back to your story, one of the things I'm curious about is, were you already doing sort of more formal straight up mainstream nutritional counseling and then you kind of decided to add in this intuitive or spiritual component, or was it all kind of happening at the same time? Describe how that kind of emerged for you, or came together in the way that you do your practice. Both and. It was kind of like, yes, I started out, I wouldn't say it was ever mainstream, because it wasn't, it's wasn't like a dietitian, the difference between a holistic health coach and a dietitian is that we do look at all sides of health, right? So we're very holistic in the sense that we're considering the whole person and all human faculties, emotional, physical spiritual, mental. So it's already very holistic and I already knew about my intuition and trusted my intuition in a very nominal sense. But I hadn't had these really super mystical experiences yet. I'd just, I just knew that when I trusted my intuition, good things happened. And when I went against it, not so great things happened in my life, or what I would call, not so great things. So there was always that. And looking back, I can kind of see, well yes, I was pretty much channeling there, there, and there, I just didn't know it yet. Or wasn't really recognizing it yet. And then it really became more and more apparent when so many things, so many things were happening so quickly and then I had to bring it together and have kind of this spiritual coming out of the closet as they say, right? And really say, these, you know, I think I have a video out there called, Why intuition and nutrition are a match made in heaven. As much as we are up in the higher realms as light workers and as spirit workers, and light workers, we also need to come back down and ground all of that spiritual and emotional work into the physical body. So that's, I mean, that's just something I love to do but it's kind of how it came together. It just feels so natural for me because the energy, like the energy of nourishment and eating is like open and free and expansive. It follows the universal laws of expansion. It's just, it's expansive like that. It makes me put my hands up and so often the messaging we get around eating and, is a message of diet. It's a message of restriction, which is the exact opposite of the energy of nourishment being expansive. So it was just, once that kind of clicked, and we can turn away from things, we can kind of turn towards that reframing, reframing eating and nourishment as sacred, as joyful, as ease, not restrictive, not a struggle, not an adversarial relationship with food and our bodies, not shoulds and should-nots. No, everyone's individual. Let's explore what's good for your nourishment body. But really, it's this divine... eating and nourishment is this divine recognition. It's a recognition of the divine in us, right? It's a really... It can be a really sacred experience, so I, you know, there's an energy inside of you. There's an energy inside of me that always knows what we need to put in our mouth and so I love tapping into that energy. Just makes sense for me, it just kind of flows. Think I went on a tangent. Did that answer your question? Yeah! Sure it's fine. The questions are just prompts to get you to tell us stories anyway. So I do have a couple... Okay I want to go a little bit more specifically into some of the nutritional stuff, right? So I notice that you mentioned that there were two changes that you made in your nutrition that made a really big exponential impact and on your website, there's a sort of pulled quote that says, "Small diet tweaks produce huge results." And that sounds super encouraging to me. So tell us what were those two changes that you initially made that made such a huge difference? So back then, I had no - I didn't eat awfully, but I was just kind of eating par for the course. Had never really thought about what went in my body. I maybe had maybe some oatmeal, maybe an egg, maybe a bagel for breakfast, or maybe nothing for breakfast. Again, I didn't put much thought into it. Maybe I had an apple with lunch and a sandwich and a salad with dinner. And some more meat and veggies or something. I didn't really... It wasn't a conscious decision. And then I started thinking more consciously about what I was putting in. What I did for myself was, I tried the green smoothie in the mornings, first thing coming out of, breaking the fast, coming out of not eating all night, out of our body's rest. And being able to get kind of the life force energy, the chlorophyll, just vitamins, nutrient packed smoothie green drinks in the morning really set, what it did was it took away the kind of mid-afternoon wall. The mid-afternoon slump that I always used to hit. And it just provided... Basically I was getting two servings of vegetables and a serving of fruit in a 16-20 oz smoothie every morning, just right off the bat. And so I was feeling so much more energy because I was at a point where I was feeling really lethargic, really a lot of brain fog, headaches were kind of normal, back and neck pain were normal, so those kind of low level symptoms don't have to be our daily experience, right? So that's the first thing I did. And then I started to play around with dairy and really noticed that I was kind of dairy sensitive and had never really known it. And so I just made simple switches from... to nut milk and reduced... I will say reduced, because I didn't cut it all out right away. Cheese was hard. But I reduced cheese and dairy, and I felt just so much better just from those two small things. It had just, like I said, an exponential effect on my energy initially. So it made me go, Hmm, and made me want to dig deeper. Are there patterns or, what do you see in the clients that you attract. What are the top issues that people seem to be presenting? We always say in my programs, Replace judgment with curiosity. We can throw around the word self-love, but what does that mean? How do I get there? Why don't I love myself in the first place? Or I think I do love myself but my actions would show differently. I'm running myself into the ground, or whatever. So the simple act of kind of noticing where we have judgments around things, and then replacing it with kind of a child-like curiosity has been really transformative in a lot of my life and in a lot of my clients' lives. So HMMM? For example. We have this tendency to, I'm doing so great, I'm doing so great, I'm doing so great with my eating or with whatever it is. My workout schedule, whatever. And then inevitably we have some sort of, Oh, I binged on pizza, ate a box of donuts and skipped my workout, or something. Something like that. And it just opens up this whole conversation with ourselves of where those feelings might be coming from. What's missing in our lives that we would like, how we actually, what's the dialogue underneath all of that? Mmm.. that's an interesting question. Yeah, because I'm aware of the fact that, like you say, when you're making those choices, there's a part of my brain that will observe me doing something that I really intellectually don't want to do, and I'm like, Oh, and you're just going to eat that anyway. And there really is a part of you that can observe you doing something in action, in the moment that you're like, that is not what we talked about doing. What's going on when that happens? Yeah! What is going on? I mean, there's - it really depends on the individual and there's a lot of things going on but I want to touch on the... That intuitive eating can sound like a little out there, or a little airy fairy, but really what we're doing is getting in touch with our own body intuition and it's not like magically one day you're going to be all AHHHHH with your body, and it's just... It's a practice and it's a process, so what I do is teach that step by step process to get closer to that. Now, there I have a... One of the modules in one of my courses is about the eight causes of cravings. So there's a lot of different things that could be happening, but one of them that I see a lot is like this: the comfort foods/wanting to return to childhood, this inner child sort of, the inner child wants attention. So it comes out in these kind of cravings of sweets or macaroni and cheese or these things that we had as children. So I see, that's like just one that I see a lot, but what we say in our classes is, I build these frames as we're moving towards intuitive eating to help people operate. So rather than a specific dietary theory, we talk about bio-individuality and learning what works in their unique body. But there are some universal truths about the human body, right? We don't do well with processed food and high fructose corn syrup and sugar and alcohol and these things. And we do really well with lots of water and vegetables and sleep and movement and love in our lives. Like, we do, that's pretty universal. There's all these other things in between that we can kind of play with. And some people are sensitive to dairy. Some people don't like to eat a lot of meat. Some people don't like greens and all these things. There's a lot to play with, but the frames that I set up are kind of thinking about things in maybe 90/10 or 80/20. Maybe 80% of the time you do what you told yourself you're going to do and whatever clean eating means to you. And then maybe 20% of the time you have the donut or you have the glass of wine or you have whatever it is. Because that might be, you might be with your friends and that's going to be a nourishing experience for you. So if, you know what I mean? If the joy factor outweighs the guilt factor, it's kind of a GO every time. If that makes sense. Oh yeah! I like that approach. Because that's modification. It's like, when you injure yourself and you're rehabbing your hurt knee or whatever it is, one of the things I'm always afraid that I'm going to do is injure it worse by using it. And the thing that I've heard over and over again from people who do rehab, in a really physical context, is that it's always good to think of things in percentages, rather than on and off, or do it and don't do it. So what you do in those situations is you do 20% of a squat instead of not doing one at all. So it kind of speaks to me. Same kind of thing in yoga. Yoga's very permissive in modifying things to suit your body and your ability, so if you can't go that deep, you just go a little ways. And that sounds kind of similar. I've already heard some things that you mention where I hear myself in there and I'm like, Huh, okay. I'm looking at the programs now going, Which one do I want to do? So I know that everybody else is thinking the same thing. Talk us through, Okay, let's say we're interested in working with you and you have these different kinds of programs. Is it like getting an intuitive reading at the start and then we pick one of the programs with your advice to go into? Walk us through it and talk about the different programs that you offer, because I'm curious about how this works from a client perspective. It is like that. It's best - I do free mini readings, 20 minute readings, in a mini-session form. So they can certainly schedule with me and we can go from there. I can give my recommendation on which program would work best for them. But I work with private clients, do the private coaching and mentorship programs one-to-one in either 90, 60 or 30 day options. So those are some of my favorites because we know it's very personalized and we get a lot done in those times and really set habit change and set reframes that are really transformative for a lot of people. Really transform their energy. So that's what I do on the private coaching side. I also have, I do live group programs and those are fun because you kind of have a support group. Right now I have detox, a holistic detox going on, so mind, body, and spirit detox. That's currently running and that's a lot of fun. So I'll have, basically what I do is I kind of read the energy in the collective and then feel into what would support everyone right now, and this was a good time for a detox. And there's no other group programs upcoming right now, but who knows what I'll create and re-run in the future. And then I have, of course you can always schedule a session with me. A full session. Which are 50 minute sessions and we get a lot done. Or I do like a written reading which I can do at a different investment level, a little more affordable for some people. I do a written reading. And then I have digital self-led programs, I have three intro programs that I love because they're good way to get introduced to my work and they're all under $100. So I have all sorts of different investment levels but that's a good way to really get some foundational habits in. There's Meal Prep Magic, which is all about demystifying meal prep and kind of a kitchen tool kit, if you will, for beginners. Tell us about the Sugar Release! That's the big one. That's one of my most popular ones. And that's probably because I got myself heavily addicted to sugar during the recovery from that car accident I spoke about. I never had to deal with caffeine or alcohol. Those aren't my things. But sugar was like...! So that's a 30-day program that is again, we're taking our focus away from what we "can't have" or what we're cutting out, to what we're replacing it with. What are we adding in that is going to nourish our bodies so much? Because your average run of the mill sugar craving comes from usually, if it's not emotional, it's coming from nutrient deficiency. So we're literally, just like in our cleanse, we're literally flooding the body with nutrients because we're kind of overfed and undernourished in our society, right? Lots of food but not a lot of actual vitamins and nutrients in it. So when we flip that and really feed, just flood our body with nourishment and nutrients, vitamins, phytochemicals and everything. We become well nourished again and the things that were kind of, I call it the crowding out, it just kind of falls away. The sugar, and the things that, it's like a nice Jedi mind trick. So that's 30 days that is really simple. It's not this, it's a really different approach and really simplistic approach in which we focus on adding in one thing. We're focusing on one thing that becomes habit every other day. So it's delivered in a video lesson, short, easy to work into your day between 5 and 10 minute video. Every other day so you have all of that day and the next day to focus on that one thing. That one simple thing. Either it's getting more water or getting one more serving of vegetables, or seeing how many hugs you can give that day. And you'll be surprised how big of an effect that has. Because sugar is one of those things that I see, it's kind of an accepted addiction in our society and it's one of those things I see most often also in the light workers and the spirit-preneurs out there who, they use it as a quick way to ground. And there are so many better ways to ground. It's kind of, the sugar addiction is kind of pervasive, so that's a big one. So Meal Prep Magic, Sugar Release experiment and then the Intro to Intuitive Eating experience, which is a 21-day course, self-led, set up in a similar fashion where it has workbooks and video lessons. And that's delivered right to their email. Okay that's cool! That's a lot of different options there. I'm sure everyone heard themselves in one of those things. That was a really cool insight about the sugar addiction being related to grounding. Sugar is obviously probably would be mine. My mom is a baker and it's her creative expression, you know? It's what she makes. It's part of something that... We all need something that we make that other people can admire and enjoy and that's her thing! She can make a dessert out of cobwebs and a pack of equal. And just some glitter. So I always, always, always have access to desserts. Because she eats like a tiny spoonful of whatever it is and then it's like, Here's a whole pie you can have! Like, I'm not going to eat a whole pie. But I never thought about, because as you were talking, I was like, Well what's my big deal with that? Why do I consume as much sugar as I do? And that idea that it's grounding in some way struck me. That kind of makes sense to me because I've heard the theory before that weight in general is a kind of manifestation of an intent to ground, or that fats or different things like that that actually physically cause the body to grow in some way can be kind of manifestations of that. Do you have any theories about those kinds of connections between spiritual issues manifesting in the body? Is that something that you are interested in or that you talk about? Oh yeah! I mean, it's all connected and I've definitely seen what you're talking about where weight and sugar, things like that, fats, used to ground, using weight as protection, there's absolutely a physical manifestations like that. Absolutely. The - Nope, I lost it. I just thought of something I wanted to be sure and ask you about when you were talking about the programs. You have something for free when people sign up for your mailing list, and it's a Top Swaps list. Tell me about that, because I'm curious to what's on that. The Top Swaps is just a fun one for beginners if things we think of as staples or normal in our fridge, in our kitchen, that we can easily switch to, just upgrade to something that's more nourishing for us. So like you can easily switch Gatorade to coconut water, or white or wheat bread to a sprouted grain bread. Or just very simple things that aren't too much more expensive, don't taste too different, they're just easy swaps to make to sort of upgrade your health. Do you have a swap for potato chips? Haha.. potato chips. I think there's one on there. There are a lot of brands out there, like Late July, that are better than just your average run of the mill potato chip, kind of these organic, whole grain, chips, or sweet potato chips. And then even that can be like a step down and then even nuts, seeds, things like that. Because sometimes it's just about the crunch and that, sometimes it's just about the crunch, the chewing, the little bit of salt. From 7pm 'til midnight for me. I just want to crunch things. Yeah, I do. Well I'll definitely send a link for everyone to go and check that out and get that. I'm interested - one of the things I really love to ask everyone that comes on the show is, is there anything that you hear people saying about nutrition that kind of drives you nuts, or makes you want to scream at the TV? Haha... Only all the time! What are some of the things that you - What do you most hope to contribute to the conversation about spirituality and nutrition and personal development What do you, if you could get some messages out there, what would they be? Nourishment can happen with ease. It can be a sacred experience. I think we're really serious all the time. Sometimes both about eating and our diets and things like that and about spirit, I see this in spiritual work and doing inner work and digging into our painful past and things like that. It doesn't have to be so serious all the time. We're meant to have fun. We're here to have fun. Joy is our natural state. We're these light beings on a grand adventure and we happen to be in these physical bodies, so let's have fun, let's do things that bring us pleasure. I don't want to divorce from my physical body. I know I'm an all-expansive being, but I'm here on this earth at this time for a reason and I'm going to live in my physical body. I'm going to ground in to it. That means I'm exploring all sides of myself but like I said, it's my chosen vehicle to house my soul at this time. It's what's on the journey. Let's be in it. Let's honour it. I would say, just the movement towards getting back in touch with our inner child, having more fun, joy is our natural state. I don't think that's - Because one of my other pet peeves is the spiritual bypassing too. And so I don't say that to make light of anything or any trauma or anything that anyone is dealing with. But I just think it doesn't have to be so serious all the time. Spiritual bypassing is just basically using spiritual, a term popularized, I don't know if you've heard of her but, it's a term popularized by Robert Augustus Masters and Lissa Rankin, whom I both respect. It's kind of like avoidance in holy drag. It's this, the drug is draped in spiritual terms, so rather than the sugar being the addiction or the alcohol being the addiction, it's this avoidance of the feelings. So I'm not talking about that. I'm not talking about pushing feelings down. I'm talking about feeling the feelings. Being in the body. Feeling everything that we're here to feel, you know? Whatever we think. I don't think that anger, sadness is wrong. It's just part of the fullness of our experience, so we're going to have those, but we're also going to have joy, we're going to have love. We're going to have all of these things in our lives and I just, I would love to see it more incorporated in personal development, in spiritual mentoring, in things that happen in nutrition, in things that happen on a daily basis in our lives. like these things, our lives are made up of these moments. The little things really are the big things. So let's have fun. I love that. It sounds like you've done a lot of work to put a lot of content together. There's a lot that you offer, Amanda. It's really awesome to hear your expertise in this subject matter. So tell everyone where they can go to find you online. Yeah! I'm very active on Facebook. Heisman Health is my business name. So facebook.com/HeismanHealth. And I run a free support group called Intuitive Eating for Energy and you can find me in there. We do a lot of great, just communing in that group. And of course, my website is HeismanHealth.com That's where you can sign up for free mini readings. 20-minute mini readings or the Top Swaps sheet we talked about! That was great, Amanda. Thank you for coming on the show! You're so welcome. Thanks for having me, Slade. I really appreciate you. Newer PostYou don’t have to do something amazing to be happy.